Three years ago, Andrea, one of the organisers of BIGW, was just returning to London from an exciting conference, and was sharing his enthusiasm for it. Listening to his stories, we were tantalized by the idea of designing our own workshop: it would have had a special focus on PhD students, encouraging exchanges and sharing of knowledge. 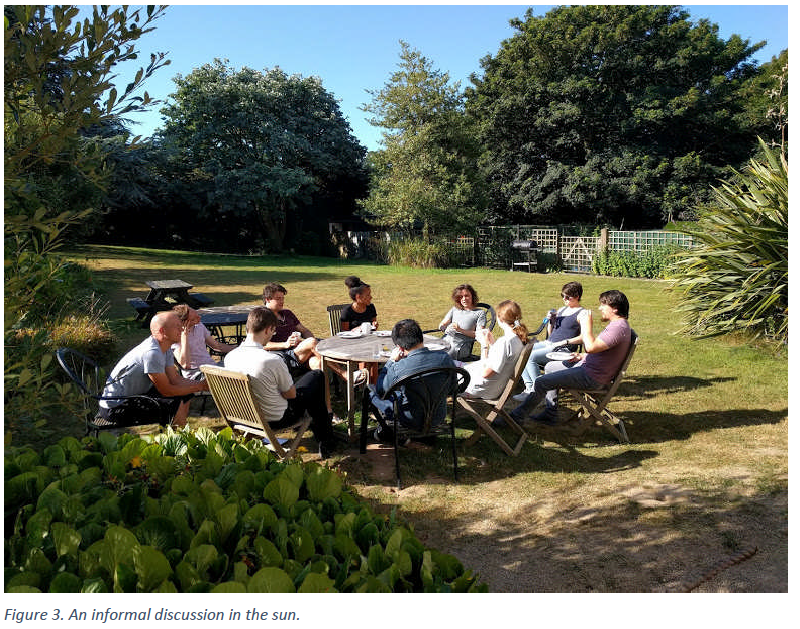 Since we were looking for a venue far from distractions, but at the same time welcoming, regenerating, and suitable to host participants coming from all over the world, we chose to organize it on one of the British isles. The first meeting took place on the Isle of Wight in April 2017. After the first successful experience, we decided to repeat it on the island of Jersey. The organization was challenging but very instructive. In particular, we have always felt the encouragement and the support of the London School of Geometry and Number Theory, and of our affiliated institutions, Imperial College London and University College London. A typical day on Jersey Island started with informal math discussion over breakfast and finished late by night with some participants still filling whiteboards with computations and drawings. 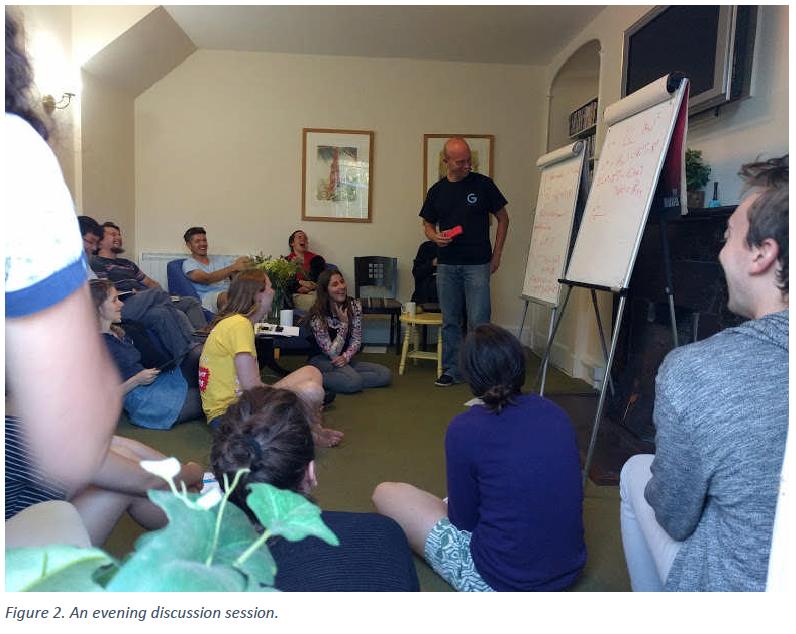 We used to have four scheduled talks per day, the majority of which delivered by junior speakers, and evening discussion sessions. In the after lunch break many people took the opportunity to have a swim or explore the island. All the participants had an active role in the workshop. Everybody was responsibility for the progress of the group during the week. Both young and senior participants were very kind, approachable and keen to interact or help. In the British academic landscape, this workshop stands out for the unique focus on PhD students. 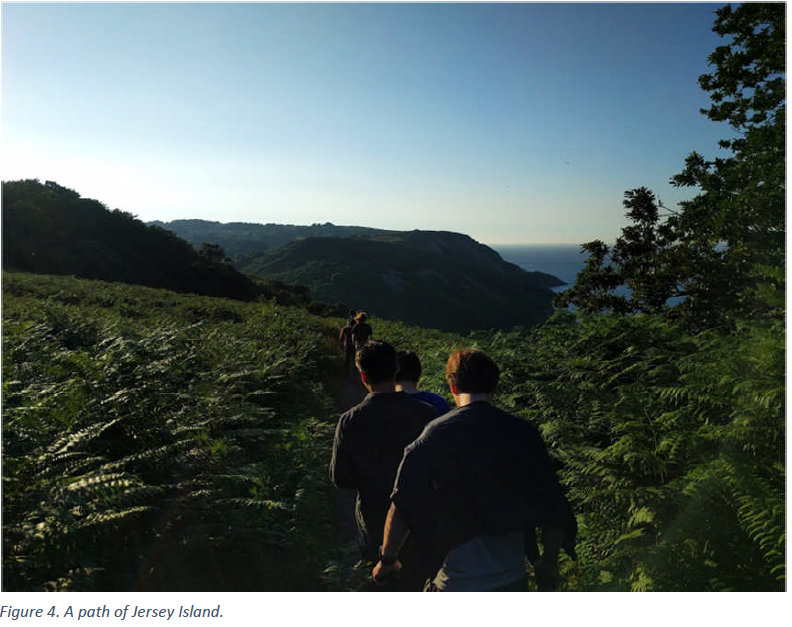 In the free time we had the opportunity to discover the beaches of Jersey all together, explore the cliff of the beautiful and sunny island and admire the impressive tide in the Channel. 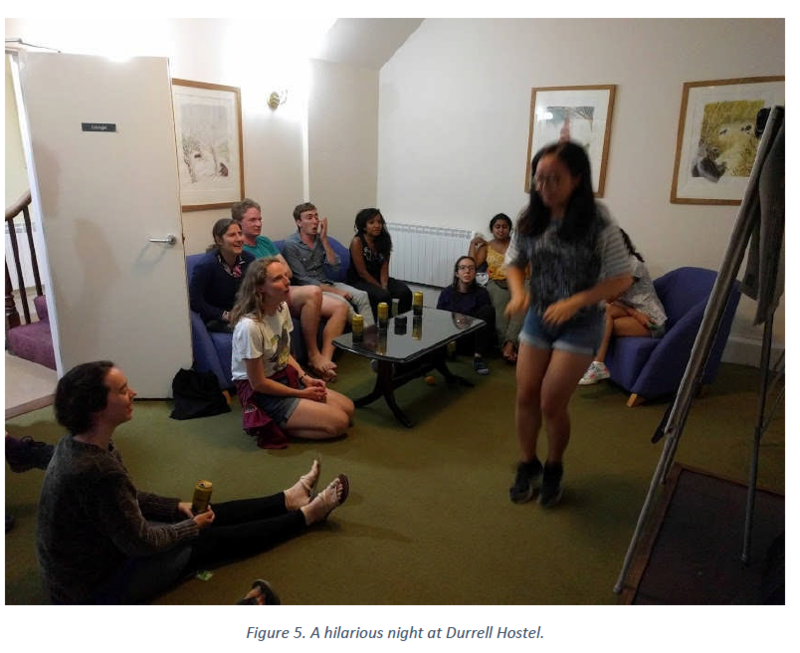 Our cosy venue was Durrell Hostel, in the kingdom of the celebrated conservationist Gerald Durrell. Free entrance to the zoo was included! The workshop was attended by PhD students and members of the most renowned universities all over the world. The total number of participants was 32, including 2 organisers and 3 senior speakers. 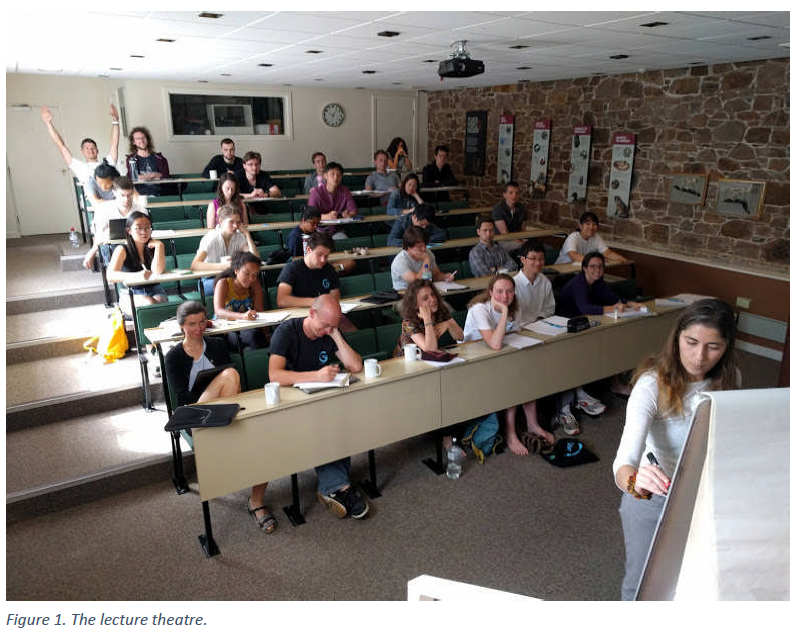 Among them, 13 attendees were UK based: 7 from the London School of Geometry and Number theory, 1 from London, 2 from Cambridge, and 3 from Oxford. The other 19 non-UK-based participants came from US (17), Portugal (1), and Russia (1). We are particularly proud of the large participation of women to the workshop: the percentage of female participants reached the 47%, largely above the average. The long-term aim of the workshop is to create an international network of PhD students. Hopefully, the workshop helped to develop a common language and lay the basis of future collaborations. It was a unique opportunity to tie professional bounds with colleagues all around the world in a friendly and informal environment. We strongly believe that this warm atmosphere can enhance the exchange of ideas. There was a lot of time for us to discuss (or take walks) and the atmosphere was very open to discussions. The people were so friendly and fun! Everyone was just so cool. I already want a reunion! The math was super-interesting. I’ve never been to a workshop which made me so much more interested in different flavours of math. Very interesting topics, excellent organization. Great atmosphere: easy to interact, discuss math, and make good friends. We express our gratitude to the Research Community Fund and the Graduate School at Imperial College London for helping to support this initiative. We thank also our sponsors: the EPSRC Centre for Doctoral Training in Geometry and Number Theory, Foundation Compositio Mathematica, G-research, and the European Research Council (European Union’s Horizon 2020, research grant agreement No 682603).